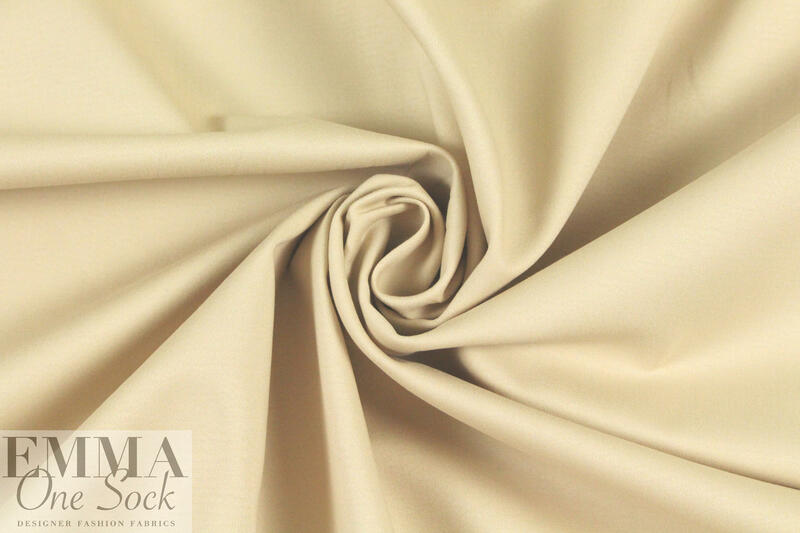 A new stock item, this cotton sateen stretch woven is a fabulous basic! The texture is so soft and smooth, it has a very subtle sheen, and about 10% widthwise stretch with great recovery. 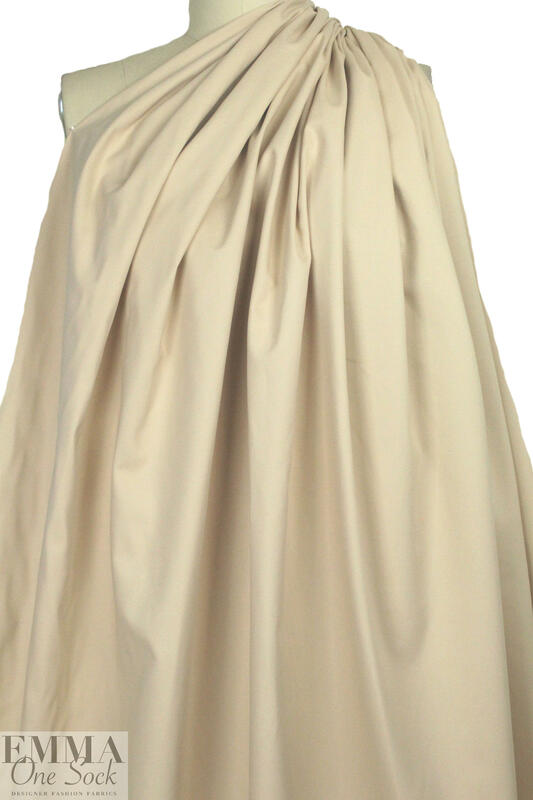 It is medium weight and opaque with a cottony drape with body -- a great basic for pants, jackets, suiting, trench coat, dress, skirt, etc. The color is beige (PANTONE 12-0807). Test first if you wish to hand or machine wash, and hang to dry.